Designed & pieced by Judy Martin. This handsome Flying Swallows variation calls to mind the annual return of the swallows to Capistrano, California. Diamonds were added to the background of each "swallow." 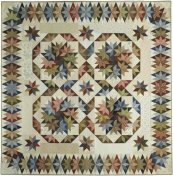 Pieced sashing echoes the swallow theme, with elegant LeMoyne stars serving as setting squares. 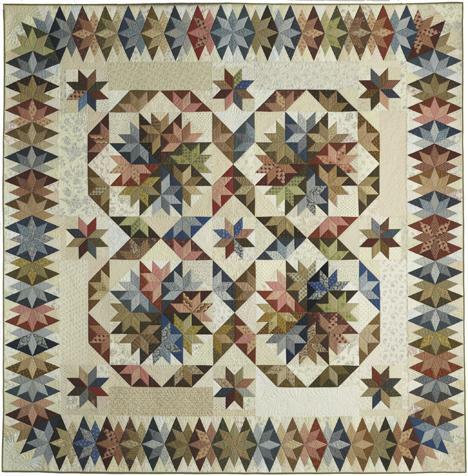 The beautiful diamond border really sets this show-stopping quilt apart!